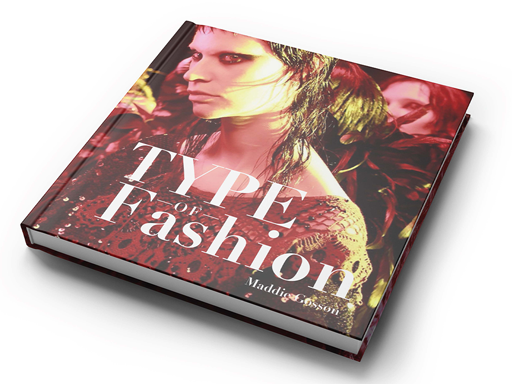 This textbook goes into details on the typography of fashion brands. The goal was to write and design a book that is engaging and could be used to teach people about the typography of a topic they are interested in. This was done by varying layout designs, working cohesively with image and text, and maintaining proper hierarchy. The book is broken down into four main sections: an overview of type anatomy, four different fashion brands and their logotypes, a compare and contrast of the logotypes, and the creation of an original typeface. The style of the design of the book is based on the style of the fashion brands. Inspiration was gathered from magazines such as Vogue and Harper’s Bazaar. The section with the fashion brands consists of the history of each company, their target market, their logotype, an anatomy break down of the type’s special characteristics, and why the typeface fits with the brand. All the research was collected by myself and is organized in an understandable manner. The book is a 7″x7″ hardcover book. The book is for educational purposes only. Image and information credit is given in the back of the book.